Create a timeless look with light color flooring. A classic and polished appearance , light colored floors makes any room have an open and airy feel. 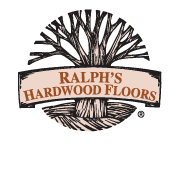 "I have worked with Ralph's for the past 3 years on numerous residential projects. Their customer service goes beyond the call of duty. Their product knowledge and installation expertise make working with them a breeze as they have the resources to tackle just about any challenge."